Blockchain helps in the development of various new and more efficient healthcare record systems, wearable devices and several medical examination systems. The era of blockchain has initiated itself. Today blockchain is emerging as an important part of every major industry be it oil and gas industries, or the technical industries blockchain is establishing itself prominently in every field. When it comes to healthcare, blockchain provides several reasons for opting it. Blockchain helps in the development of various new and more efficient healthcare record systems, wearable devices and several medical examination systems. Thus, with all these benefits it is predicted that cryptography will become an important part of the way hospital works and it will prevent traditional method challenges of healthcare ransomware, weak passwords, omnipotent employees and hacking incidents. With the completion of Human Genome project, the cost for genome sequencing has reduced. It is expected one day it will take less than $100 to order up whole genome sequence. According to white paper on Nebula Genomics it states that with the opportunities in personal genome sequencing it will soon create a genomic data market worth billions of dollars. Nebula Genomics works on ensuring that the data reaches from source directly to the recipient without the involvement of any third party. This central European enterprise is working on development of a platform that can unify all the health records. As lot of medical data is present in different formats with different providers. It is one of the healthcare networks which provides a secure network for all the sources of the patient data be it EMRs, medical devices or the pharmacies. It was launched in the year 2015, and is a Atlanta-based enterprise. It provides a platform for security of the health data of the patients, providers and the medical institutions.In this PTY(Patientory Coin) is the digital currency which is used in patientory with the help of which the users can access the platform to store and secure health information. Also, the software provides an easy way to the patients to track doctors visit, medical bills, insurance etc. It is an Estonian company, a team that consist of cryptographers, developers and security architects. The main objective of the company is to secure the health records of millions of people from the attackers as these records consist of the genetic information of the patients in thousands of cases. The company provides a platform through which a person a sell the information of his DNA for cryptocurrency tokens. The platform also provides the feature of sharing the genomic data that too securely on the market that is the genomic data market for cryptocurrency. It was launched in the year 2017 and is based in the United Kingdom. This platform provides telemedicine consults (communication with the doctors via online sessions) with the help of the patient’s health data which saves both time and money of the patient.Along with that the company is building a platform that can securely store the health record of the patients and then these digital records could be shared with several doctors, hospitals etc. This is also a United Kingdom based platform which was launched in the year 2018. The main moto of this platform is to improvise the research work as it provides several medical records with the help of this platform the patients can sell their anonymized data to various researchers and companies. With the help of this platform tracking of several products such as blood, pharmaceuticals etc can be done which are needed to be kept at low temperature. With the help of a sensor developed by chronicled the storage temperature readings can be stored to secure data transmission. The health records are completely and easily accessible. It provides full security of the records. It leads to low cost or expenditure through interoperability. But there are several problems associated with the technology as well. The structure and functionality of the distributed technology of the system can create some unexpected problems. There it is necessary to analyse the potential issues that can arise before using the technology. The blockchain technology will not be able to cope up with the different cybersecurity challenges today. As it will do only little against the attackers who are attempting to steal the data of a patient, or the phishers who have their eye set on stealing the financial documents or the one looking for credentials or authorization to transfer money. Another challenge in healthcare sector is which person should access which records as due to shifting schedules, less information and complex roles it becomes difficult to create a default and people get access to many patients records which invades the privacy of a patient. 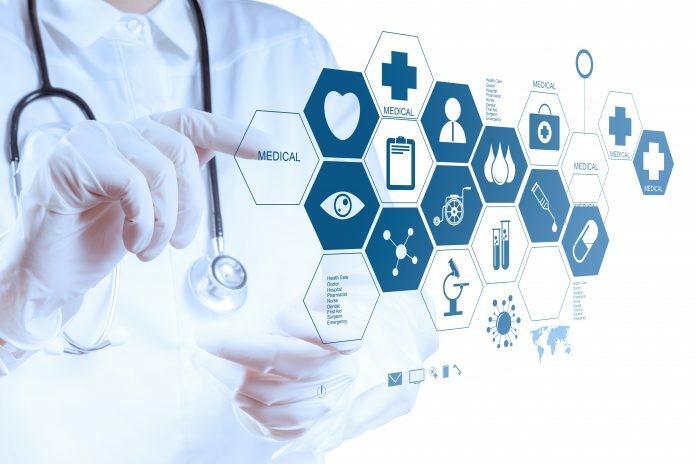 Solutions are being formulated for overcoming all these problems so that the blockchain technology in the healthcare industry can be widely accepted with no fears and with this the patients will have complete control and access to their information under one complete record which can be viewed and edited with the permission of the patients. How can Blockchain Technology Transform the Healthcare Sector?